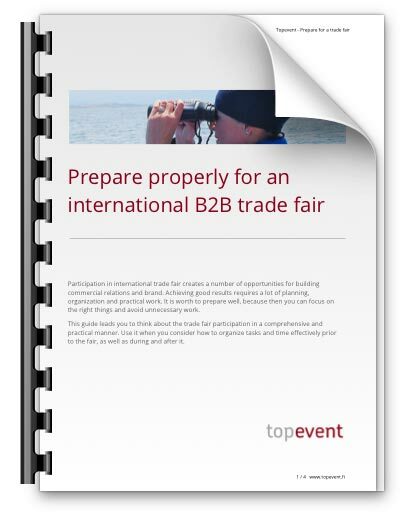 What was successful at the trade fair, what needs to be improved? The set business objectives can only be verified if the results will be measured and assessed in a systematic way. Did the fair participation deliver benefits corresponding the investment? Another fundamental reason to evaluate the achievements is learning and self-improvement. When you can prove what works and what does not, development of new approaches has a clear basis. 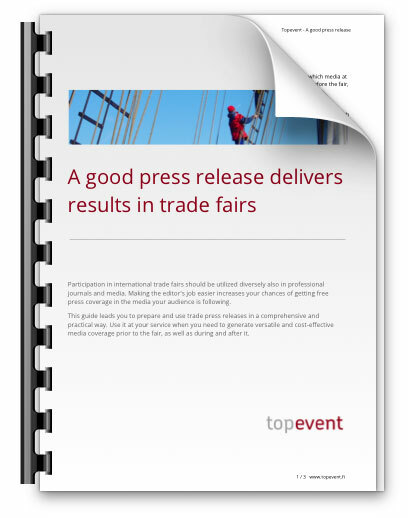 In addition with quantitative objectives (for example, the number of new sales contacts or agreed meetings, or number of the stand visitors) also qualitative metrics are important (for example, did your message interest the right target groups, how the staff dealt with the exhibition visitors, were the desired news and stories published in trade media).